Sat by the river, as I often am, and pointing my camera across it to take random shots as I often do, this guy walked into view at just the right moment. 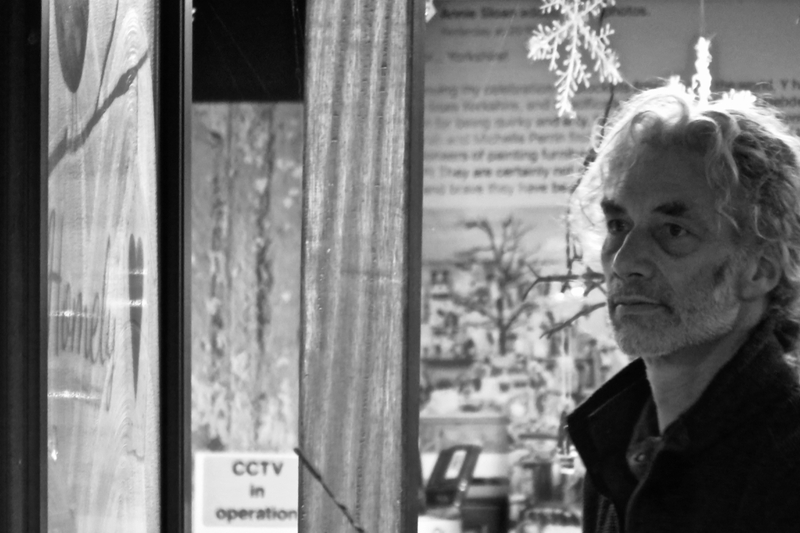 I have no idea who he is, but the shot works for me (in black and white to mitigate the impact of the bright yellow ‘CCTV’ sign in the background). I have often speculated about how many such random photos I appear in, in the background perhaps, all unknowing. Maybe there’s a universal rule that applies, like everyone appears as a stranger in twelve photos in their life, or something similar.